This week sees the UK release of sci-fi throwback Super 8. But just how super is the number 8? Is it super enough to make the list of memorable movie numbers compiled by Ross McG? Three, two, one… let’s find out! In fifth place, of course, is the number 12. You with us so far? Twelve can be one of those overlooked numbers. In football/soccer, before all these ridiculous squad numbers came in, 12 used to indicate that you were the first substitute. It was a number that was left out in the cold. For this reason, 12 is a bit of a maverick, a wild card, a renegade. Twelve doesn’t play by his own rules. Yes, he can be divided by three and four… and two and six… but if anything he’s a prime number in disguise as a boring even one. And it is with this in mind that 12 extended his reach to the world of movies. Perhaps knowing he was never going to get the chance to shine in a franchise (although technically the Friday The 13th series, bizarrely, has stretched to him), 12 set about making sure his number was leant to a select few films brimming with quality. 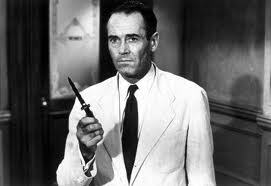 So he gave us 12 Angry Men, not only the best film with ‘12’ in its title, but the best film with ‘angry’ and ‘men’ in it too. After another 38 years, he came back with Twelve Monkeys, a modern sci-fi classic and far and away the best movie with ‘12’ in its title starring Bruce Willis. Yep, for those two greats, we can forgive this number its ill-advised dalliance with Steven Soderbergh in Ocean’s Twelve. They say three is a magic number. And in movies, they are absolutely right. Which is why we’ve put it at, uh, number four in this list. Three is a magic number in that it can conjure up a dumb but hilarious comedy (¡Three Amigos! 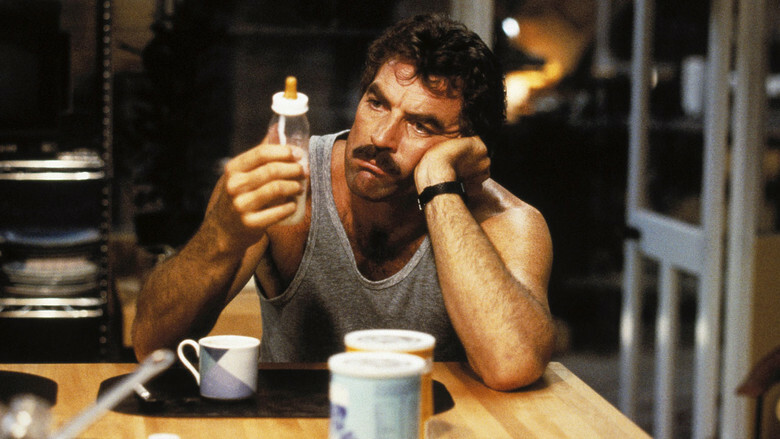 ), an atmospheric classic for the ages (The Third Man), some of the most beautiful films ever made (the Three Colours trilogy) and Tom Selleck’s moustache (Three Men And A Baby. Oh, and Three Men And A Little Lady). Even Three Fugitives wasn’t that bad. The reason it doesn’t get any higher in this list comes in the shapely form of Kelly Brook, who besmirched the number somewhat in island slasher flick Three. Think Guy Ritchie’s unwatchable Swept Away… only worse. To be fair to her though, she made things better with Piranha 3D. What a magic number. Thanks Kelly. It’s such a great number that no one is totally sure exactly what number it is. And it’s also the title of the similarly convoluted – and brilliant – first movie by Darren Aronofsky. If you thought Black Swan was a bit effed up, get a load of this. We’d love to tell you exactly what it’s about but we’re still not sure. Like the cool number that gives the film its title, it is brilliantly hard to pin down. David Fincher has a lot of talents, but spelling was never his strong point. It doesn’t matter though, you’re so busy digging your nails into your seat to worry that Se7en has one of the worst titles in movie history. We can’t wait for the sequel, A8e (get on it, Hollywood). But even that horrible mix of letters and figure cannot stop seven from being one of the best movie numbers. 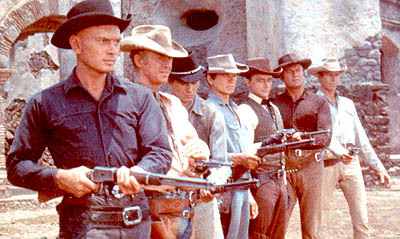 From The Seven Samurai to its update The Magnificent Seven, from Seven Brides For Seven Brothers to The Seven Year Itch, this number just churns out classic films. And that’s before even talking about the one with Death playing chess. Just wipe Six Days Seven Nights from your mind (we’re sure Harrison Ford would like to), a movie so powerfully awful it manages to strike down two numbers in one go. Oh… big surprise! Number one at number one… how boringly predictable. Well, we could have gone with some obscure number in top spot (thanks Snipes for Passenger 57) but the more we looked at it, the less we could tear ourselves away from the blindingly obvious. One may be the loneliest number that you’ll ever do, but movie-goers have it to thank for One Flew Over The Cuckoo’s Nest, quite possibly the greatest film with a figure in its title ever made. Pretty much reason alone to put number one at, uh, number one in this list. But throw in terrifically underrated cop spoof Loaded Weapon 1 (yes, Bruce Willis, we caught you sneaking into another numbered movie in a cameo) and the gorgeous George in the gorgeous One Fine Day and you will realise one is the only number you’ll ever really need. And let’s not forget Michael Keaton in One Good Cop. Okay, forget Michael Keaton in One Good Cop. But one still rocks. WHAT IS YOUR FAVOURITE MOVIE NUMBER? This entry was posted on August 2, 2011 at 5:50 pm and is filed under TOP FIVES with tags Movies, Numbers. You can follow any responses to this entry through the RSS 2.0 feed. You can leave a response, or trackback from your own site. What are you on about? Most people know what number pi is. There is no doubting it. Pi is the ratio of the circumference of a circle to it’s diameter. This ratio always gives the same number no matter what the circle. Infact the Greeks also knew this – highlighted by the fact that pi is also called Archimedes’ constant. thanks Katie. glad you liked it more than Mr Sunshine. Although we’re glad of Mr Sunhine’s comment too. What about the worst 5 numbers used in movie titles? haha, good shouts Dan. Want a job / Fancy changing your name to Ross? Great post… I’m bugged by the new Spy Kids movie being 4D??? I get working 3 into 3D but is 4D a new technology. A transport to another dimension just like ours but different where SpyKids 4 is something people want? Every film ever made has a running time, and are therefore in 3D. New ‘3D’ films are actually 4D. So SpyKids 4 is 5D. Great idea for a top ten. I can just imagine you guys painstakingly going through the DVD collection making note of the numbers in the title. Although this makes me chuckle I’m guessing you used a slightly simpler method. Haha, well cool…I’ll go back to my thoughts of DVDs strung across the room and little note pads with counts for the various numbers in film titles! Messy! Messy? yes. True? absolutely no way. Very entertaining lists. Only just found this, having trawled through your other excellent posts. Lots of conjecture re Dozen being the worst (or even a number – I think it’s really a word), however – Dirty Dozen is obviously a reminder of how great it could be… with 12 Angry Men also making a dozen. Thanks.